Moving from place to place can sometimes be a lot of work and packing is one of the problems you will encounter when moving. Selecting the right moving box to put various items is very important. The choice of cheap moving boxes can determine if your prized possessions will arrive at your new home as damaged items or in perfect conditions. Moving boxes come in different sizes, with each size specifically suited to a particular use. For example, having a large moving box with a lot of space does not mean it should take more items. It is important to know the various moving box sizes and their uses. Small moving boxes are about 1.5 cubic foot in size. They are sometimes referred to as “book boxes” because they are mostly used for packing books. They are also used for packing other items such as small appliances, kitchen wares, breakable items and small kid toys. The small box should not be used to pack your pots, pans, and other larger kitchen items. They can be used to pack heavy items as the small size makes the transportation of these heavy items easy. Medium moving boxes are about 3 cubic foot in size and are considered as multi-purpose moving boxes. Ensure that you do not try to fit too many items into them at once as you can cause damage to yourself (while carrying them) or to your items. They are perfect for packing clothes, pots, toys and small to medium-sized appliances. A large moving box is a big box and is about 4.5 cubic foot in size. Large moving boxes are best for packing larger, lightweight items. Items such as linens, lamps, stereo speaker and larger kitchen appliances can be packed in large moving boxes. Filling the large moving boxes with heavy items will make it difficult for you or your neighborhood movers to transport them. Also, the boxes can break under the strain of the heavy items which could lead to the damage of the packed items. Extra large moving boxes are about 6 cubic foot in size. These boxes should be considered for the bulky, lightweight items such as stuffed toys, large blankets, pillows and chair cushions. Just as for large moving boxes, you should also avoid overloading extra large moving boxes to avoid damage to the packed items and for easy transportation. You should note that the weight of the items packed in the boxes should be reduced as the sizes of the boxes increases (the heaviest items should be packed in the smallest boxes). Using these various sizes of moving boxes will make relocation less of a headache for you. 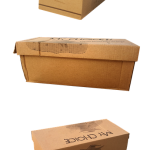 Using the right boxes for the right items will save your cost of replacing or repairing damaged items that could result from using the different boxes inadequately.